Perforated LEATHER STEERING WHEEL COVER* Material: PU leather. 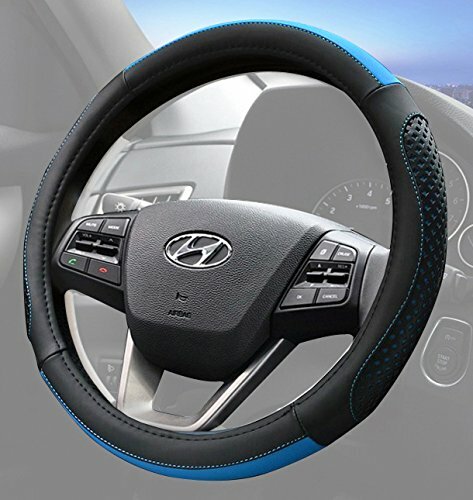 BLUE STEERING WHEEL COVER Rubber molding ensures a snug fit. CAR STEERING WHEEL COVER Provides protection against extreme temperatures. Universally designed to fit most cars, vans, trucks, and SUVs. Fits 14.5\" to 15\" steering wheels. Add beauty to your vehicle while protecting and providing a nice grip.